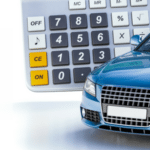 The initial payment on a car lease is the amount of money that the driver can afford to put towards the overall lease cost up front. Not to be confused with a deposit, the initial payment allows the driver to spread the remaining cost over the number of months in their contract. The more that can be paid up front, the less the monthly payments will be.